Pretty much useless. No amounts or protocol. This is why we never get anywhere. Doctors like this think this is all they need to do to fulfill their responsibilities. Everyone knows the health benefits of eating fruits and vegetables. The health value of plant-based foods is attributable in part to the phytochemicals that they produce. Phytochemicals are compounds that give plants color, odor, and flavor. Phytochemicals do wonderful things for your body, such as fight inflammation. They are correlated with lower levels of C-reactive protein and other inflammatory biomarkers. Here are some foods with anti-inflammatory properties. Many colorful fruits and vegetables are rich in phytochemicals, as well as fiber, which help fight inflammation. Options include blueberries, carrots, tomatoes, leafy greens, peppers, sweet potatoes, oranges, cherries, papayas, and strawberries. Cherries have been shown to decrease muscle pain. Furthermore, capsaicin, which gives chili peppers their heat, helps block inflammation and the burn tricks your mind into releasing endorphins. 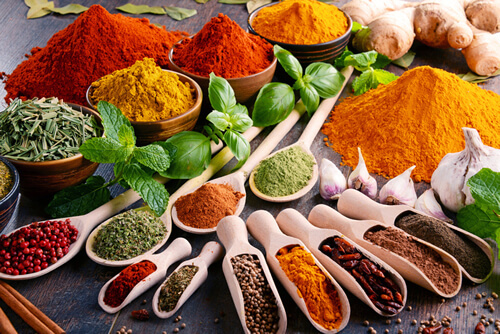 Many types of herbs and spices exhibit anti-inflammatory properties, including dill, basil, peppermint, parsley, oregano, sage, cinnamon, cumin, ginger, turmeric, paprika, and saffron. Peppermint has been shown to relieve the painful bloating and cramps of irritable bowel syndrome. Turmeric, which colors curry, has been shown to help people with arthritis ambulate better, without the adverse effects of medications. 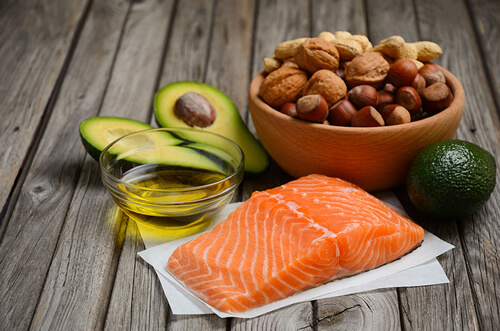 Healthy fats help combat inflammation. 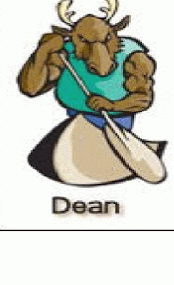 Healthy, fat-rich foods include nuts and vegetable oils, such as olive, canola, soybean, and corn. Olive oil contains oleocanthal, which acts like ibuprofen, as well as lubrican, which lubricates cartilage and prevents joint breakdown. Healthy omega-3 fats are in fish, such as salmon, mackerel, and tuna. Cold-water fish may help with the pain of rheumatoid arthritis. Keep in mind that certain fish, such as tilapia and catfish, are high in omega-6 fatty acids, which may actually promote inflammation. 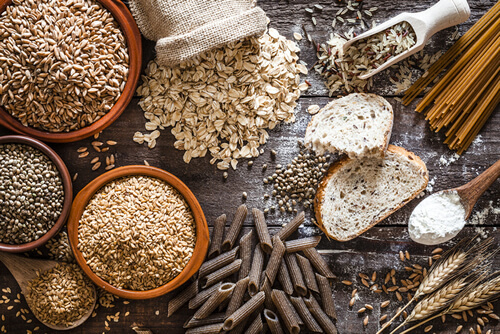 Some whole grains—wheat, oats, amaranth, barley, brown rice, rye, corn, and buckwheat—have been shown to help curb inflammation. 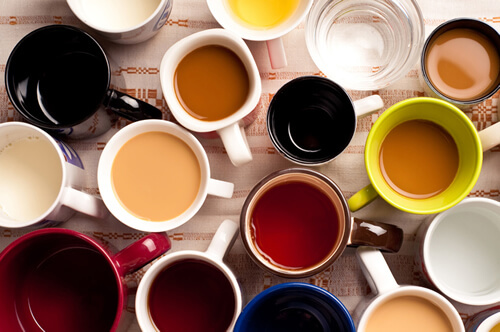 Coffee and tea are rich in phytochemicals. Brazilian mint tea has been shown to be just as effective as prescription pain medications. Red wine is rich in resveratrol, which is found in the skin of red grapes and has been shown to reduce disk swelling and back pain. Research indicates that anti-inflammatory foods help protect cells and organs from low levels of chronic inflammation. This inflammation has been tied to heart disease, cancer, arthritis, and other health conditions. 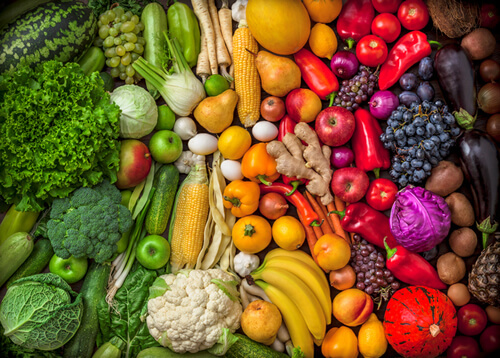 Investigators are currently examining whether a diet rich in anti-inflammatory phytochemicals helps prevent these chronic illnesses, averting premature death or lifelong disability. Unlike the DASH diet, which consists of foods that lower blood pressure, no "anti-inflammatory diet" exists. More research needs to be done to determine one. In the meantime, the key to harnessing the anti-inflammatory properties of plants may be to eat more foods rich in healthy fats and phytochemicals. On a final note, although phytochemicals are available in supplements, they're more easily absorbed from foods. Go with brightly colored or strongly flavored plant foods that are rich in these compounds.